We wish you all a very Happy, Healthy, Peaceful and Prosperous New Year. 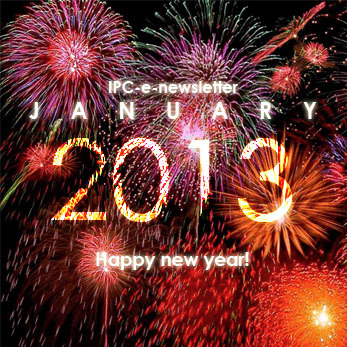 Welcome to the January 2013 edition of the IPC e-newsletter. The IPC e newsletter is distributed free to more than 4000 people around the world. Some updates were made in Chennai Powder Coaters list . On the 8th of December 2012, I had a car accident while coming from Bhopal to Indore. I was admitted to hospital for fractures in Radius ulna, Acetabulum and metatarsal. At present I am on complete bed rest for the next few more weeks. 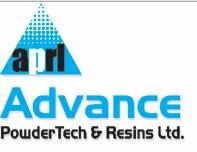 Advance PowderTech & Resins Ltd. (formerly known as Hi-Tech Coating)is promoted by Mr. Bharat Patel, a young first generation entrepreneur. He has got about 26 years of experience in the business now. Advance PowderTech & Resins Ltd. started powder coating manufacturing plant in the year 2004 at Savli GIDC, near Baroda, Gujarat, India. Today Advance PowderTech & Resins Ltd. manufacture and market Powder Coatings in India under the brand name 'PowderTech'. PowderTech Powder Coatings product consists of premium formulations manufactured to meet performance specifications on a consistent basis. These powder coatings are designed to provide tough, durable, decorative and functional finishes for virtually any metal finishing need. It gives very good mechanical and corrosion protection in a wide range of colour & gloss. Capacity : We have one Lab extruder line for shade & formulation development & two big extruder lines for regular powder coatings product manufacturing having total capacity of 1200 MT annually. As a part of backward Integration process in the year of 2010 we have started manufacturing of major raw materials i.e. Solid Epoxy Resins and Saturated Polyester Resins with combined install capacity of 7000 MT annually. Advance PowderTech & Resins Ltd.
India's second largest paint company, Berger Paints is looking to double turnover to around Rs 7000 crore in next four years. According to Abhijit Roy, Managing Director and Chief Executive Officer of Berger Paints, the company is in the process of capacity expansion as well as strengthening its distribution network to meet the target. Our focus will be west and south region, where we are lagging in terms of sales. We are expanding our distribution network there. Also, we will introduce new product categories during the period,” Roy said. The company has recorded a 17-18 per cent sales growth till Sepember in the current fiscal. The Kolkata-based paint major, which enjoys a market share of 20 per cent, is expecting an additional four per cent of market share in over next four years. The new deal strengthens the existing joint venture between AkzoNobel and Kanoo, which only covers the supply of the company's International Paint brand, along with coil and packaging coatings. Under the terms of the expanded agreement, AkzoNobel will offer products from across its Performance Coatings portfolio, including professional woodcare, automotive refinish, marine, yacht, fire protection, protective and powder coatings. The Supervisory Board of AkzoNobel is delighted to announce that CEO Ton Büchner will resume his duties on Friday, December 7, following a full recovery. "On behalf of the Supervisory Board and the Executive Committee we welcome Ton coming back to the office. It has obviously been a testing time for all of us but now Ton is back as expected, leading the company forward and returning to business as usual," said Karel Vuursteen, Chairman of the Supervisory Board. Commented CEO Ton Büchner: "I am thrilled to return to my post. I am grateful to my team who have taken care of the company so well during my absence. There is a great future for AkzoNobel and we are looking forward to updating you on our plans to further improve the company’s performance." AkzoNobel will organize an analyst conference call and media interviews on Friday, December 14. Supervisory Board member Antony Burgmans, and CEO Ton Büchner will answer questions relating to this announcement. A construction company controlled by the Chinese government has pleaded guilty to illegally exporting U.S.-made coatings to Pakistan for use on a nuclear reactor, the U.S. Justice Department has announced. The plea and a $3 million fine assessed against China Nuclear Industry Huaxing Construction mark the first time that a Chinese company has admitted guilt in a U.S. criminal export case, the government said. Dow Epoxy, a business unit of The Dow Chemical Company, has completed its 30 KTA Liquid Epoxy Resin (LER) expansion at its fully back-integrated Stade, Germany site. The facility, which has now been ramped up to full production rates, will increase the company’s global LER capacity by 10%. JOST International has added powder coating and fabrication to the list of services available from its Greeneville, TN, facility to other manufacturers in the automotive, commercial vehicle, agricultural, forestry and construction industries.